The new owner of the Horse and Groom says he would like to turn the locally listed pub into a cafe or restaurant. 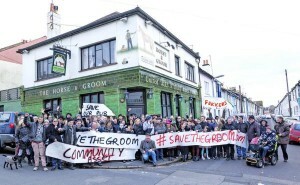 The pub closed in January, and a campaign was launched to get it designated as an asset of community value, which would hold up any sale to allow the public to bid for it. 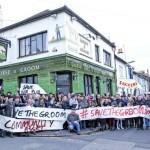 But before this could be decided, property developer Craig Dwyer-Smith bought it, and has now applied for permission from Brighton and Hove City Council to rip out the inside of the Horse and Groom in Islingword Road and convert the first floor into a four-bedroom flat. And while he hasn’t yet made a firm decision on what could go on the ground floor, he says he would love to see it open as a family-friendly cafe. Mr Dwyer-Smith said: It’s all a bit vague and we don’t really know what we’re going to do with it. “Our options are offices or a restaurant, which I think would be really nice in that area – it would make a great deli and cafe. The idea has already sparked interest from another cafe in the same street. Andy Walker, the owner of Fanny’s just down the hill, said that he would love to be able to move in and continue the pub’s legacy of serving the community. He said: “I would love to take it up and make Fanny’s bigger and better. 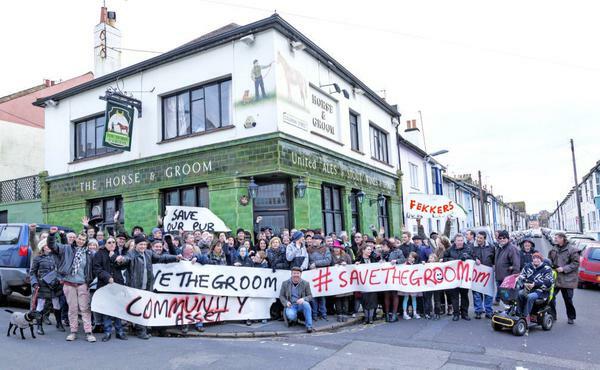 We’re quite community based and I feel that if the Horse and Groom’s premises licence covered a new cafe, we could do what we do on a bigger scale. Would anyone believe enterprise inns? The Horse and Groom was a popular pub with great music. The Landlord no doubt struggled to make a decent living due to enterprise inns onerous terms on rent and beer sales. Enterprise and Punch Taverns are heavily geared companies sucking the life out of the community pub. By the way, the pub was ripped out 2 weeks ago, I sadly watched the builders dumping the remnants into the skip. This is an excellent idea and something that Hanover really could do with. A decent cafe that’s spacious and sells half decent coffee would make a killing around here. I’ve always struggled to understand why there are dozens of pubs that sit empty the majority of the time but not a single cafe within walking distance. Things changed – we’d rather have a late than a pint now! It’s a real pity the live music aspect has gone entirely, and that there is no provision for a community space for classes and courses run by locals. Coffee shop’s a great idea, we certainly don’t need more cars! Romantic nonsense. If enough people had patronised the pub in the first place then it would still be trading. The proposition from the new owner sounds appealing and something which would both meet a housing, community and employment need. The asset of community value stuff sounds like bureaucracy gone mad in my view. Politicians going after the populist vote for local people to ‘save’ pubs they’ve ignored for years. Breweries don’t kill pubs (lack of people do). Ps @Roisin what the hell does cars have to do with any of this? !